While Roma was irreverently snubbed at the Golden Globes last week, it’s back in its rightful place thanks to the board over in LA. 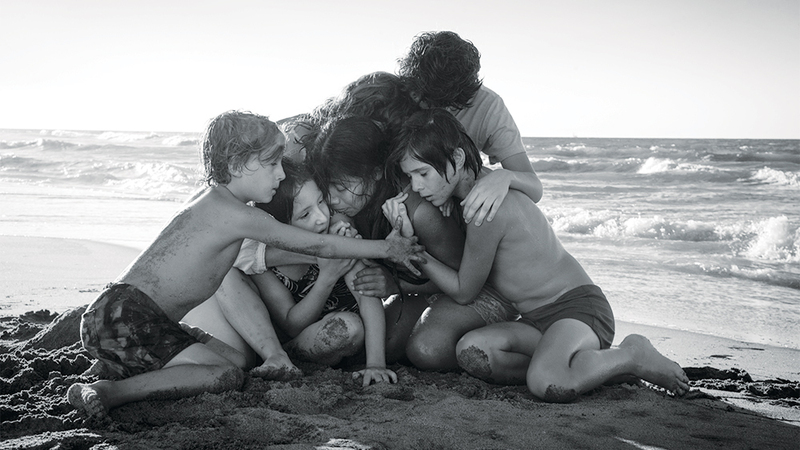 The results of the LA Film Critics Association have also offered Cuarón’s hailed monochrome masterpiece an award for Best Cinematography, as well as nods for Best Director and Best Editing. A host of other accolades have been distributed to others, celebrating this year’s achievements. Following Roma in the lead, Best Supporting Actor went to the charismatic Steven Yeun in Burning (he was also fantastic in Sorry To Bother You), and Burning was further celebrated with a tie for Best Foreign Language Film. Debra Granik received an award for Best Director of the affecting Leave No Trace, while Best Actor was awarded to Ethan Hawke for his performance in First Reformed, and, maybe predictably, Best Actress went to Olivia Colman for her eccentric role in The Favourite. I have to admit, I was slightly disappointed by the result - while I have no doubt about Colman’s strengths, I felt as if Octavia Spencer in Widows was such a powerful and important figure, that it’s a shame she didn’t even receive a runner-up nod. Although Elizabeth Debicki was offered runner-up for Best Supporting Actress, meaning that the film has been recognized, I would have liked to have seen Steve McQueen’s work better rewarded. Still, with the awards season train having well and truly set off, it’s likely that his time will come with the numerous accolades yet to be dished out between now and next Spring. A few notable films went away empty-handed: other than a runner-up nod for Best Score going to (my all-time fave composer) Justin Hurwitz, Damien Chazelle didn’t receive anything for First Man, and others that were left empty-handed included Hereditary and Sorry To Bother You. Yet, all is not lost. Spiderman: Into The Spiderverse was well received and If Beale Street Could Talk made an appearance. And, in a move that has been widely celebrated by Film Twitter probably more than most, Hugh Grant received runner-up for Paddington 2. At least it shows that there’s still good left in the world. Best Screenplay: Nicole Holofcener, Jeff Whitty, Can You Ever Forgive Me?